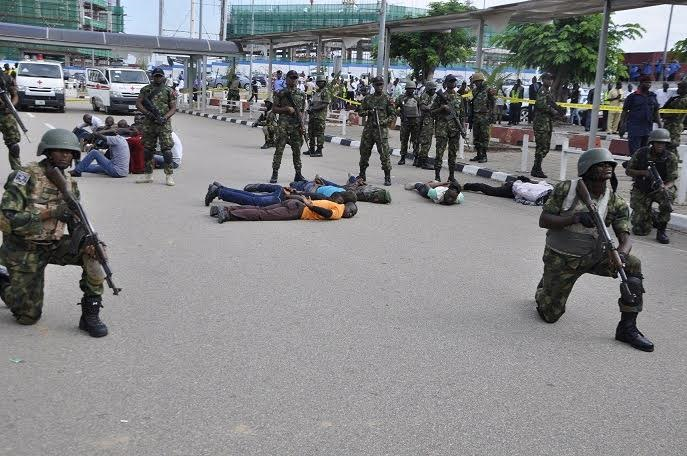 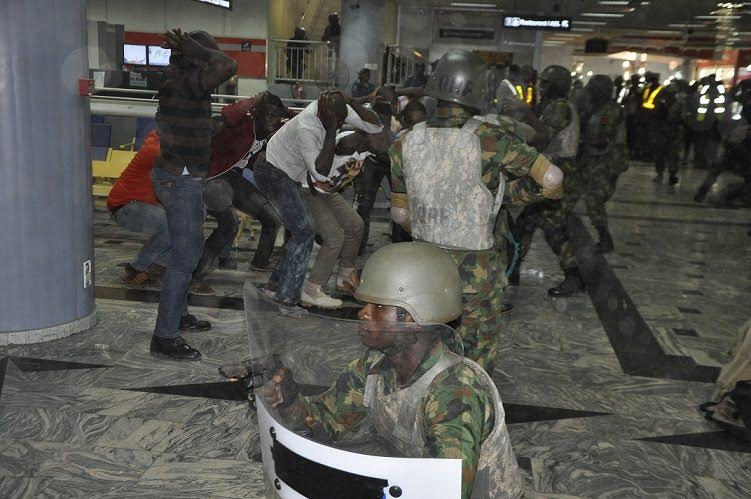 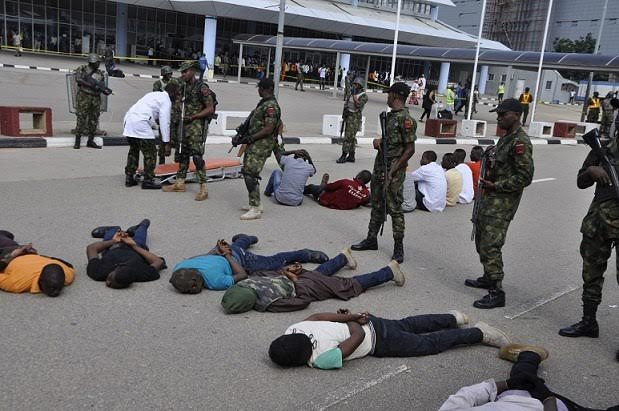 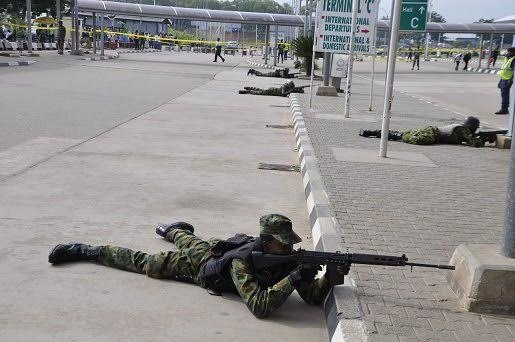 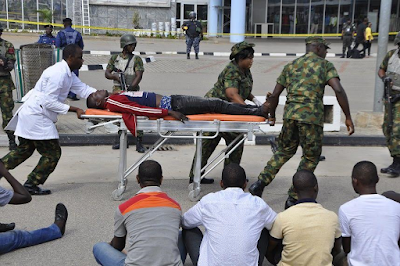 The Nigerian Air Force (NAF) today simulated a counter terrorist exercise at the Nnamdi Azikiwe International Airport, Abuja. 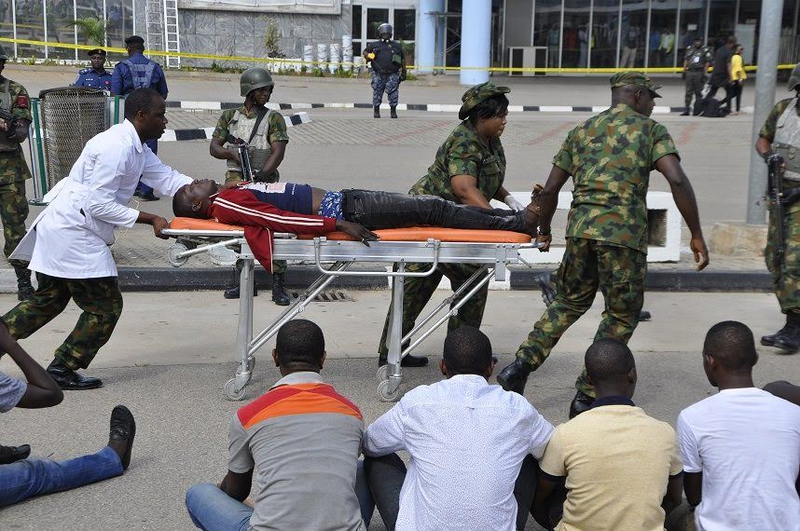 The exercise followed on the heels of recent terrorist attacks in some major airports around the world. 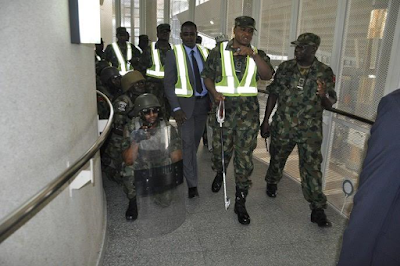 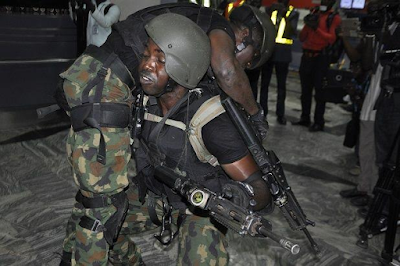 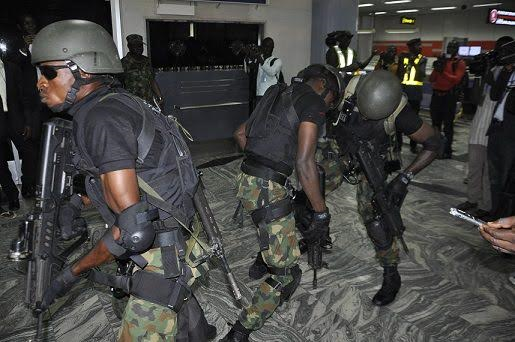 The exercise was codenamed “EXERCISE STEEL DOME” meaning fortified arena, and the aim to ascertain NAF’s readiness to respond to occurrence of terrorist attack in any of the nation’s airports. 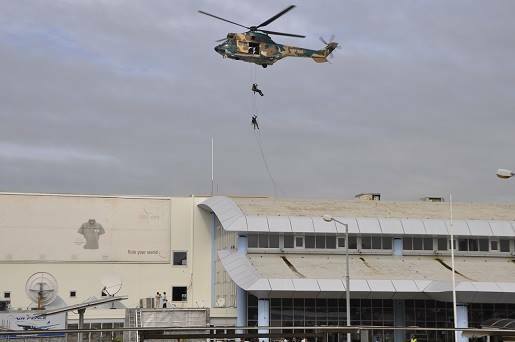 The exercise scenario was based on terrorist attack on an airport, and effort to retake the airport from the terrorists and restore normalcy through insertion and extraction of Special Forces operating in conjunction with other organic security forces and organisations. 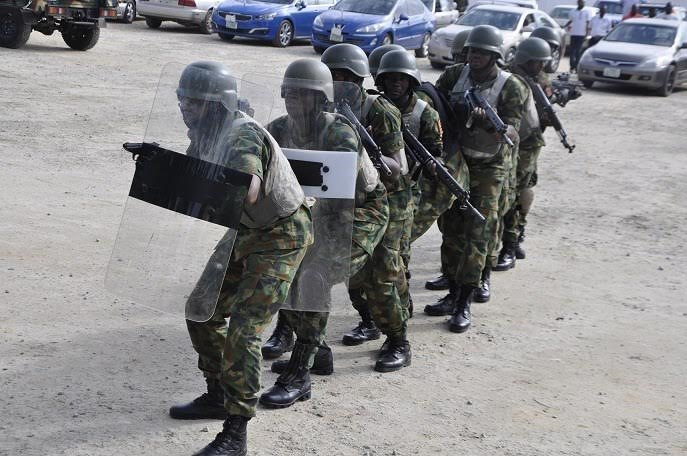 The exercise objectives are to enable the NAF practice both individual and group skills in planning, coordination and execution of counter-terrorist operations, as well as understand the requirements and challenges involved in the coordination and conduct of counter terrorist operations in concert with other security agencies and organisations among others. 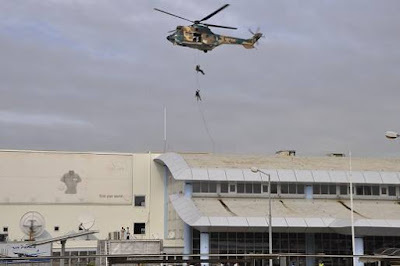 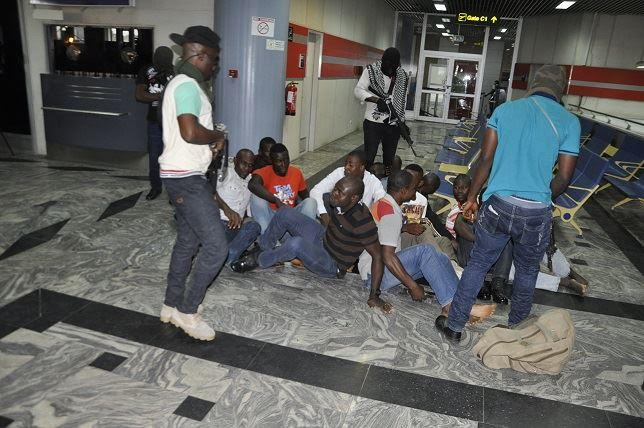 Meanwhile, the Chief of the Air Staff (CAS), Air Marshal Sadique Abubakar has disclosed that there are plans to replicate the exercise in other major cities, such as Lagos, Kano and Port Harcourt, with international airports. 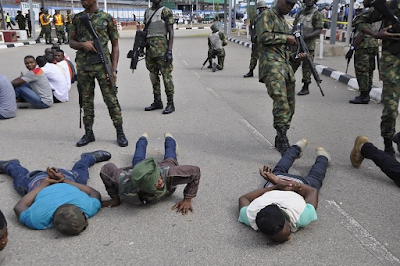 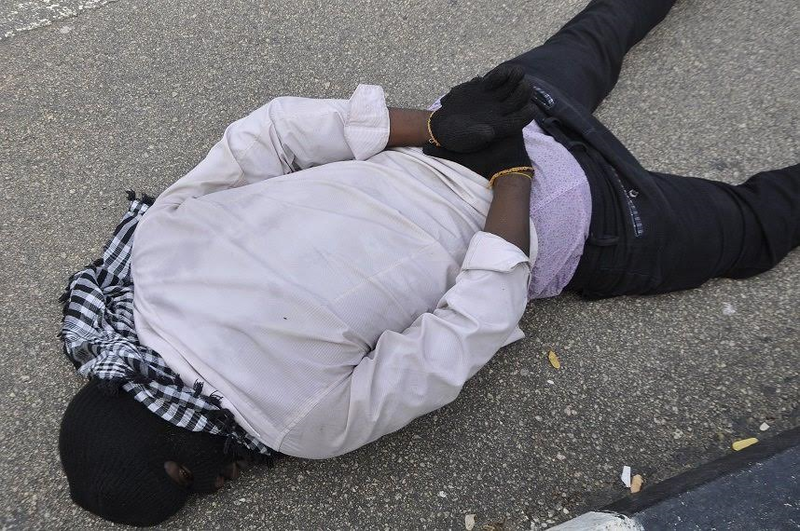 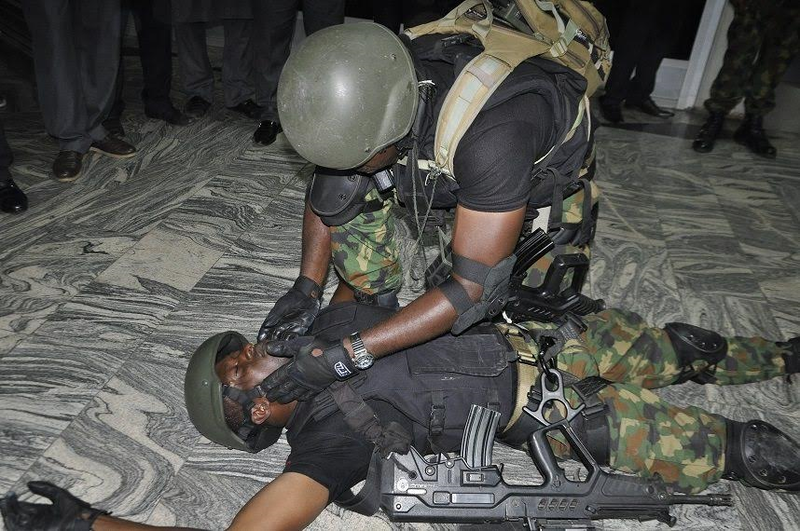 This, the CAS said, was the essence of the simulating the exercise to demonstrate the capability of the NAF Special Forces element to mobilize for offensive operations at the shortest possible time in the event of any security breach.